When it comes to monetizing your free app, choosing a good mobile ad network is essential. However, not all ad companies are the same. So, today we’re going to give you a quick rundown on how to choose different mobile ad networks and reveal our top picks for game developers. Your awesome game is almost complete, but you need to add a way to generate revenue. You know with F2P (free-to-play) games that ad networks are the way to go, but there are so many out there, you’re not sure how to choose. Here’s the thing, all ad networks have their pros and cons. So, when you’re trying to choose an ad company to work with it, all boils down to the type of app that you have. For game developers, the best mobile ad networks to use are the ones that are ‘game developer friendly.’ These companies often cater to games or specialize in a wide variety of application types. They also tend to have more flexible options which are great for not only beginners but anyone interested in experimenting with different ad campaigns. When you’re choosing which mobile ad networks to use it’s also important to have an idea of the type of advertisements you’d like to display in your game. Since different ad networks specialize in different kinds of ads knowing what you want can make the decision process much easier. Interstitial ads are the ads that play after your player has been defeated. They are full-screen ads. You can set the frequency of how often they’re shown. A good rule of thumb is to set them to appear every three or more defeats. Showing them too frequently can deter players from your game. Banner ads are the ads that you see at the bottom of many F2P games. They’re one of the easiest and most common ad formats to use. You can also further monetize banner ads by adding an in-app purchase option to remove the ads from your game. OfferWall ads or reward ads give users a chance to receive an in-app reward for interacting or completing an offer or task like watching a video, playing a mini-game, completing a survey, or installing another app. In exchange, they’re given bonus in-app coins, extra lives or special character. Video ads are ads that play short video clips to promote a specific product or service. Video ads are usually a few seconds to a minute in length. Native ads are banner or video ads that have been customized to match and blend in with the app’s interface. They function similar to the native advertisements that you’ve seen or maybe not noticed on various web pages. The amount you’ll make with these advertisements can vary depending on your app’s installs, daily impressions, and the ad company. To improve the odds of generating the best possible revenue make sure you have a great game. You can also try ad mediation networks or mobile ad companies that support mediation like AdMob. Ad mediation networks enable you to use multiple ad networks in your game. They’ll try to display the highest value ad for that impression request from your pool of additional ad networks. If you’re using Buildbox, it’s also a simple way to add other mobile ad networks in your game. Understanding the basics of how mobile advertising networks work can make choosing a lot easier. 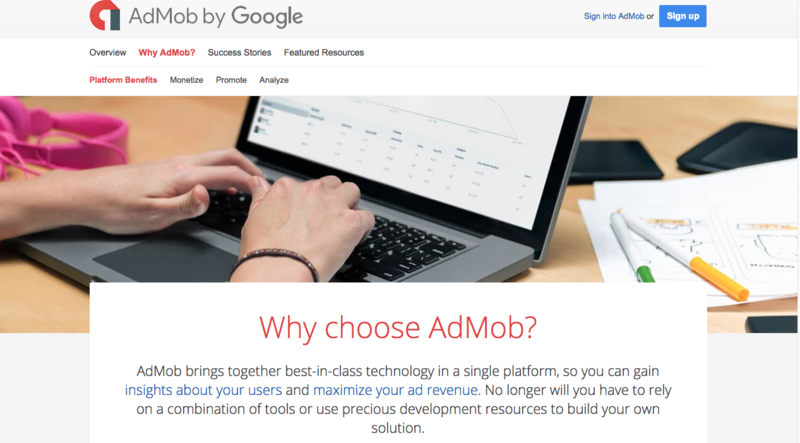 Founded by Omar Hamoui in 2006 and powered by Google’s cutting-edge ad technology, AdMob is one of the oldest and most trusted mobile ad networks. 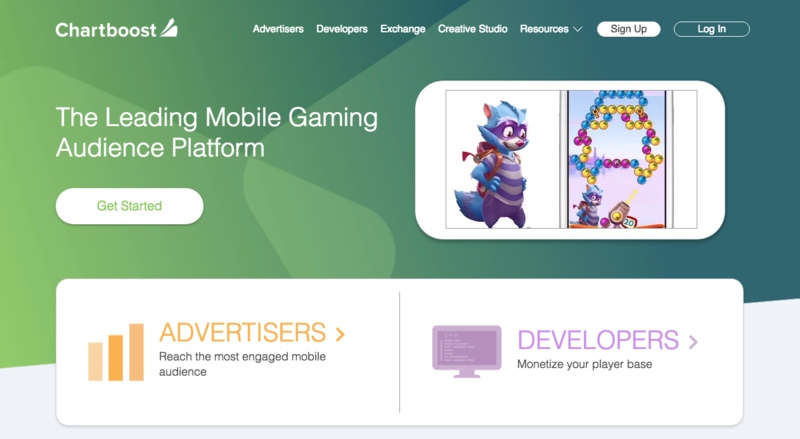 If you’re a game developer and new to the whole ad scene, AdMob is a great place to start. It can be used with all of the top platforms, and most gaming engines support it. 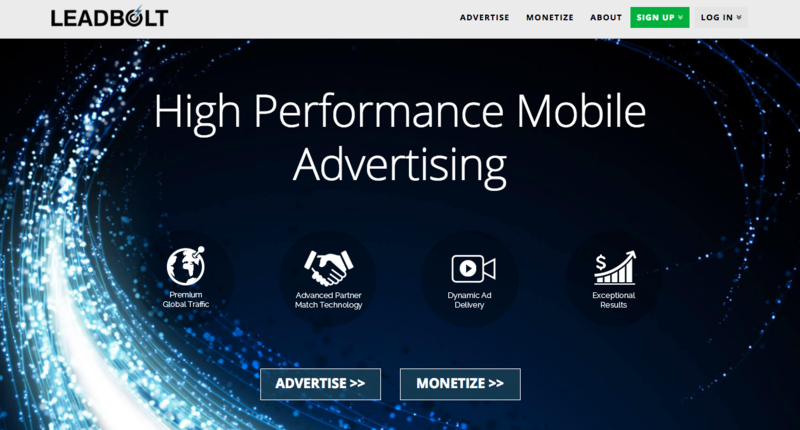 This mobile ad network also features mediation options allowing you to add over 40 third-party ad networks to help increase your earnings. With AdMob you can also cross-sell your other games and apps to your current fan base, using their free AdMob house ads. If you’re an indie game studio or have multiple apps, this option can help with marketing. Fyber is one of the leading mediation platforms with over half a billion active monthly users. They acquired HeyZap in 2015, which was the same company that the indie studio Hipster Whale used to monetize their hit Crossy Road. With their game’s initial success, the indie team decided to use this platform’s powerful mediation tools to integrate multiple mobile ad networks into the app. And they were able to take their game’s revenue to new heights. 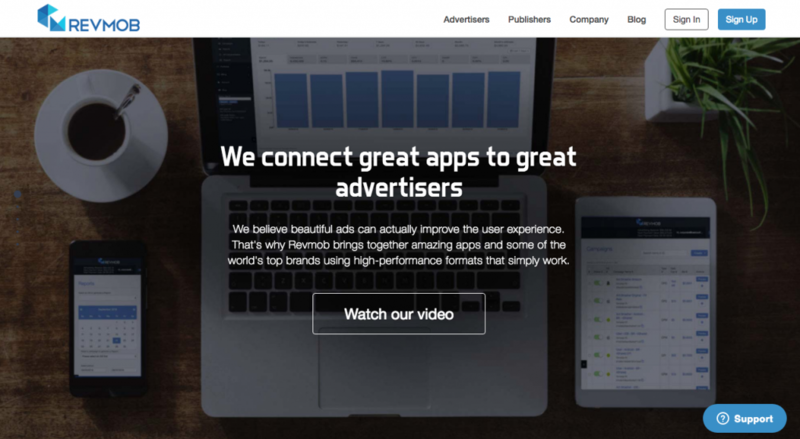 Fyber specializes in streamlining different ad monetization strategies. It’s a great platform to use to increase and optimize various ad revenue sources automatically. If you’re looking for a mobile ad mediation network with advanced features, Fyber is a great option. Chartboost is one of the largest games-only mobile ad networks. Major game publishers like Rovio, King, Zynga, EA Games, Wooga, Bandai Namco, Cheetah Mobile, and more use them. Chartboost provides cross-promotion with native ads and offers advanced targeting and tracking options. All of their advertisements are geared towards encouraging game app installs making them a favorite among publishers. Chartboost also features plenty of analytics and insights that you can review and use to help improve your next campaign. 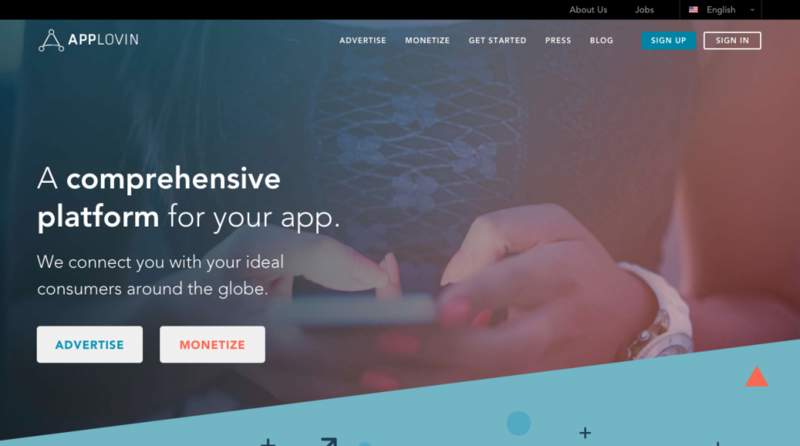 AppLovin is another excellent mobile ad network for game developers to use. They allow you to add video, playable, native, interstitial, and banner ads to your app. AppLovin also offers marketing automation and analytics to help you further your reach. Top brands and publishers from across the globe use their ads. At AppLovin, users are paid 15 days after the end of each month. For those developers that are interested in a fast payout, it’s definitely worth considering. When it comes to high-performance ad formats, Leadbolt is one of the leaders. You can enable ad formats in video, playable, and native ads with full-screen displays to maximize your app users engagement. Not only do many chart-topping app developers use them but they’ve also won multiple mobile ad network awards. Leadbolt has received the 2018 Gold ACEF Award for mobile user acquisition and retention and countless other awards for its mobile marketing campaigns and playable ads. This platform also features advanced targeting and analytics to help game developers increase their retention rates. InMobi excels at providing its users with high-quality HD video and native ads. It’s a great platform to use especially if your monetization strategy is geared towards video. InMobi features a unique advanced targeting system that connects users to the type of ads that they’re interested in based on their past app use. They also feature different cross-promotion options to help with re-target and re-engage previous users. RevMob is also an excellent mobile ad network for game developers to use. Founded in 2012 by CEO Gui Schvartsman in Brazil, it’s become one of the top mobile ad networks. 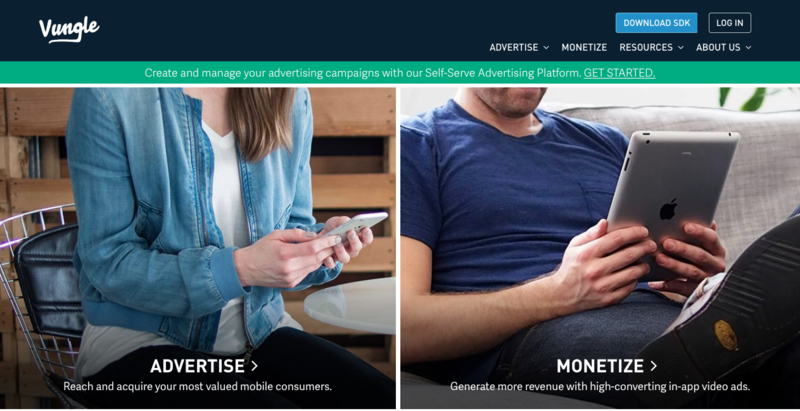 RevMob features innovative ad formats such as rich media, banners, interstitial, native ads and buttons, and reward video. The advanced campaign targeting, tracking, and user-friendly dashboard make analyzing data in real-time easy. There’s also a testing mode that you can use to help fine-tune your targeting. RevMob supports a wide range of platforms making it ideal for indie game developers. Vungle is one of the most interesting mobile ad networks because it’s a video-only based company that creates their own ads. All of the ads are created by Vungle’s in-house team of designers and artists to give users a unique ad experience. The HD video ads are usually 15 seconds in length and optimized for various mobile devices and tablets. Vungle is also compatible with many third party reporting and tracking providers to help you analyze your campaigns. They also have a marketplace where developers can sell their ad space. It’s a good option for developers that have a popular app they’d like to monetize further. And then there’s the Facebook Audience Network. Utilizing the powerhouse of the social networking giant, Facebook developers can also place their highly targeted ads in their app. The amount of people that you can reach with Facebook ads is enormous. They show highly targeted ads that match the interests of your app users. When users interact with the ads, you earn more revenue. Facebook Audience Network features a variety of different ad formats including native, interstitial, rewarded and in-stream video. With Facebook’s massive network, this mobile ad platform is worth checking out also. Remember, if you want results using mobile ad networks, you have to start with a quality game and choose a ‘game developer friendly’ ad company that can suit your app’s advertising needs. There’s no one shoe fits all approach to monetization. So, always experiment and test different ad campaigns and networks until you find that one or combination that works best for you. Vungle doesn’t make all their own ads. They even have a self-serve platform where advertisers can upload their own creative and have it run. There’s zero quality control on their network. Thanks, Tiana for sharing the list of networks. Well, I would like to request you to add ConsoliAds in this list of mobile ad networks. There are many competitive features available like instant 20% incremental revenue with auto integration, higher fill rates, higher eCPMs, free cross promotion, 300+ million impressions per month and many others. hi thanks for the post i use Admob network and it’s best for me after reading this i try Fyber let’s see. hello im using WaitAds is a content discovery network for premium traffic publishers. Payout 100 US 15 days Net. Thanks Andy :) glad you found it helpful!